Patapaa Amisty yesterday made an appearance on the Delay Show and it was all fun. I can boldly say he’s the funniest musician so far in Ghana. No wonder his “One Corner” song crossed the walls of this country. Patapaa we can say was full of hope that the ‘Most Popular Song’ of the year award will go to him for his one corner song. Unfortunately, Patapaa dream of winning never came into realisation as the award went to Fancy Gadam for his song, ‘Total Cheat’ which featured Ghanaian rapper Sarkodie. 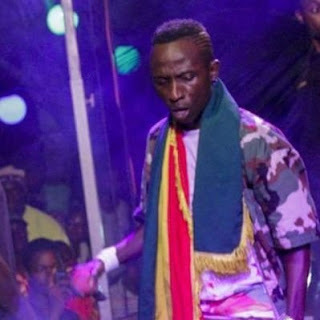 It seems Patapaa’s knows how to console himself if things get tougher. In the interview with Deloris Frimpong Manso on the Delay Show, the “One Corner” hitmaker indicated that though he has no girlfriend, he knows how to satisfy himself sexually he when feels the urge to do it. “As an artist or a footballer when you are on stage performing, you will definitely get a girl who will be interested to go to bed with you…so once there is a show I will get a girl,” he said.